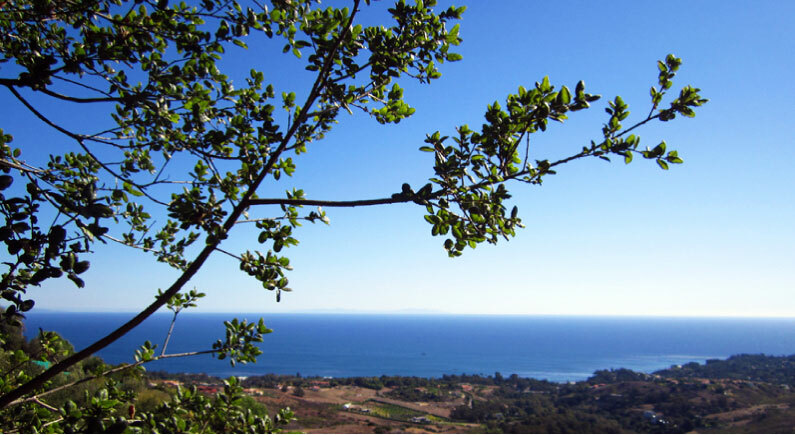 For millennia Quercus agrifolia, the coastal live oak, was plentiful in Malibu -- the source of building materials, shade, and a food staple for the Chumash Indians, who lived here. Beginning in the 19th century, the oaks began to disappear, victims to firewood, trading and cattle grazing. At Rancho del Cielo Malibu, we have over three miles of coyote and horse trails that crisscross our southern slopes. Much of our hillsides are populated with native chaparral, but there were no oaks on the ocean-facing slopes when we first purchased the property. 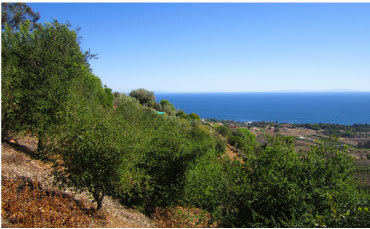 In 1997 we decided to reforest a large portion of our property with coastal oaks and Toyon, Heteromeles arbutifolia. 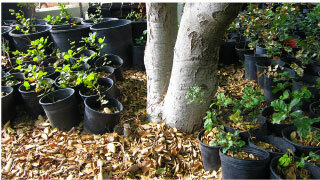 All the oak acorns (seeds) were carefully collected from various locations in the Santa Monica Mountains beneath trees exhibiting good growth characteristics. 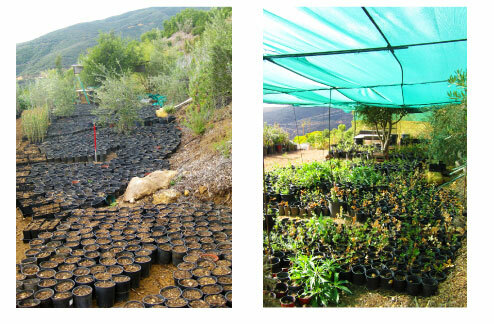 Unlike previous propagation and planting projects, we approached the RDC Malibu planting methodically. During the germination period, acorns were separated into special media and treated with a variety of chemical compounds to encourage rooting. Further divisions in groups were made to observe the effects of different soil moistures during germination. For this a tensiometer was used and results were recorded. Every week, the acorn's tap root was measured. We're now in the process of planting on a southwest facing coastal hill and are experimenting with various irrigation and shade structures. 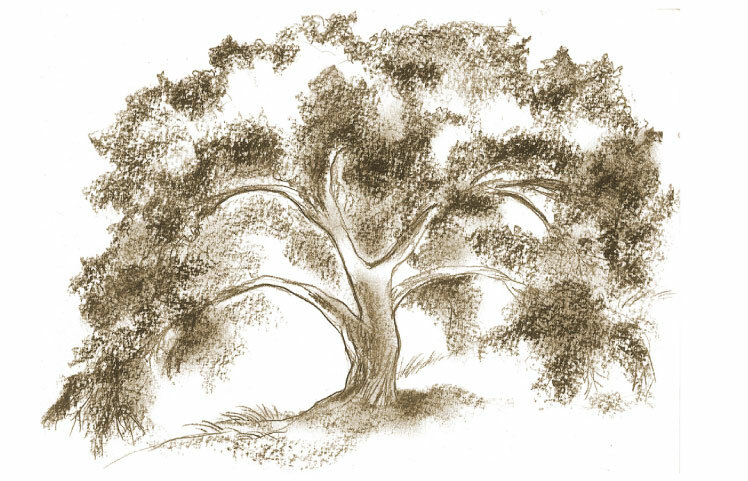 It's our hope that one day Rancho del Cielo's oaks will represent the largest group of coastal oaks in the Malibu. 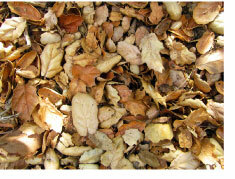 Above: Oak leaves and twigs create a nurturing environment for acorns and young oaks to sprout and grow. Near Right: The nursery a year ago and Far Right: The nursery under shade cloth with many of the sprouted oaks already planted out on the lower part of the property.